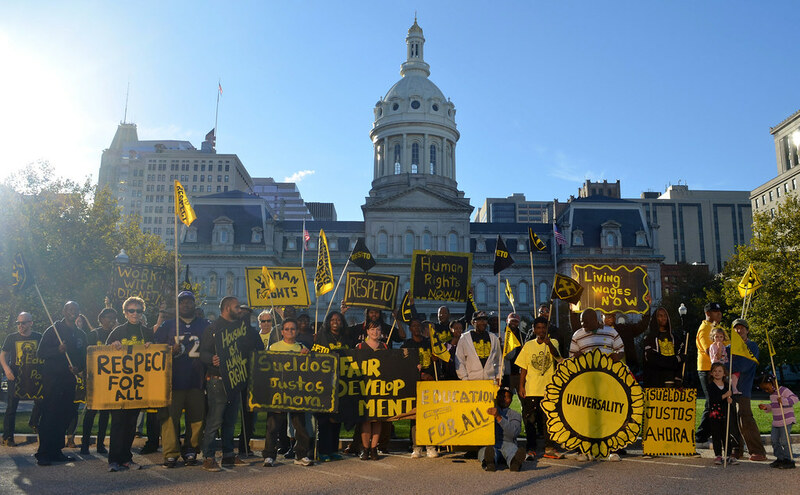 April’s uprising revealed deep injustices in Baltimore: prevailing structural racism and economic inequality. We also saw a growing movement demanding to be heard. Throughout our history we have raised up this very struggle for the future of our city, fighting for a new way forward freeing ourselves from racism and poverty. We have arrived at a moment where our city must decide what course it should take. Don't hold us back from a Fair Development future. This past summer we took action with labor union UNITE HERE, talking with over one thousand residents in East and West Baltimore. We heard repeated demands for sustainable communities, affordable housing, and local jobs. We formed expanded committees in East and West Baltimore to build on this program. We are now ready to publicly launch a grassroots campaign to define this critical moment, demanding a Fair Development Future that meets our needs for housing, jobs, and, sustainable, safe communities. As we saw in April, we need a big movement if we are going to tackle big historic problems of racism and economic inequality. We need you, your co-workers, your friends, your faith community, school, or civic group to join us to change what is politically possible in Baltimore. Saturday, November 14th for breakfast and a community program! The event is from 11am-1pm, location is to be determined.